Georgia Wheeldon, 2016 Blake W.H. Smith Scholarship awardee. I was able to spend my last 6 weeks of medical school at the Baptist Medical Centre (BMC) in Nalerigu, Ghana. Nalerigu is a town in northern rural Ghana close to the borders of Togo and Burkina Faso. 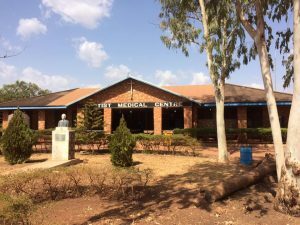 The BMC is a regional referral center that serves patients from Nalerigu and the surrounding towns and villages, but it also receives referrals from towns and villages far away. The BMC does obstetric, surgical, inpatient and outpatient care. During my time at the BMC, I was able to participate in all of these activities working with the physicians at the hospital. The national language in Ghana is English, but the different regions have unique village dialects. In Nalerigu, the main dialect spoken is Mampruli. 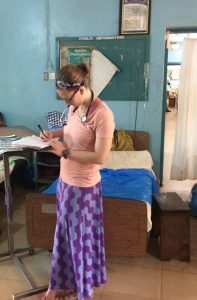 I learned how to ask basic history questions and how to do the majority of physical exam commands in Mampruli, but overall I relied pretty heavily on my interpreters. 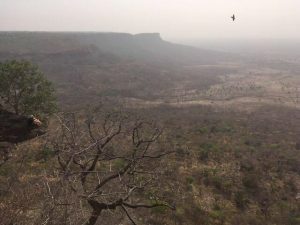 I was in Nalerigu during the end of the dry season. I learned quickly that different diseases come during different time frames. I was there at the very end of the dry season. During that time of the year, many of the wells are pretty empty and individuals rely more on water from the streams and rivers – which are also pretty dry. This leads to higher levels of Typhoid fever at the end of the dry season. The mosquitoes don’t come until the rain, so malaria levels are relatively low in the dry season, versus the endemic rates that come during the rainy season. Overall, many of the conditions I saw were conditions that I have seen in Michigan, but they were often presenting at later stages. During my time in medical school, I’ve learned that all patients have psychosocial factors that affect their health, and Nalerigu was not an exception. I’ve always found the opportunity to learn and dive into these factors to be an important part of patient care. In Nalerigu, I learned there were family standings to consider, positions in the town, gender factors, poverty, and stigmas against mental health and HIV. These conversations were more challenging to delve into when crossing culture barriers and language barriers, but I still found success in asking about patient’s personal barriers to health. Spending time at the BMC reinforced my passion for medically underserved populations and the goal of finding how I can help to improve health in vulnerable populations. 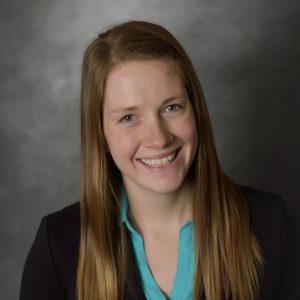 In medical school I was able to be a part of the Rural Community Health Program (RCHP) where I learned to delve deep into a community’s resources and partner with those in the community to improve health. I carried this knowledge with me to Nalerigu and found the same factors. From the nurses, to the community health workers to the physicians, there are many individuals working to improve the health of the community. I believe that all individuals deserve access to quality healthcare regardless of their means, and I think a powerful way to accomplish this is through working with and strengthening those currently working hard in vulnerable communities. I will be completing a residency in combined internal medicine and pediatrics and I intend to pursue a Masters in Public Health. This training (and my forever continued learning) will help me to best serve the future medically underserved populations that I will work with domestically and abroad.